Joe: Okay, fellas, it's almost time to close up. One more for the road? General Petraeus: Sure, Joe. Gimme a double scotch and pour another bourbon for my diminutive friend here. Joe: Y'know, I never would have figured you for a scotch drinker, General. General Petraeus: Sure am, Joe. Paula and I used to pound down the scotch until she'd go "Ready for that drone strike, General! Here's your coordinates!" 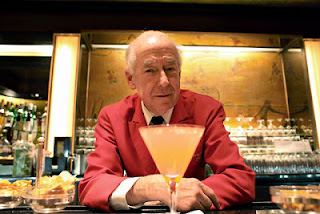 Joe: And you, young man, of all things --- a bourbon drinker! Elmo: Oh my yes, Joseph! Elmo been guzzling bourbon ever since Elmo start trolling gay bars in the Village back in the Seventies. Elmo l0oooove sucking down the bourbon! Joe: Well, glad you two found each other. Shame what happened to you guys. General Petraeus: I just can't believe it, Joe! One day I'm running the entire Central Intelligence Agency, next day I can't get a call back from George Lazenby! 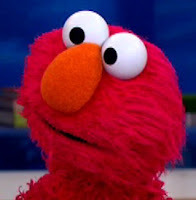 Elmo: You think that's bad, General? Elmo called every homophobic name in the book by Bill Moyers! General Petraeus: Say, Elmo, I need a job. Think there's a place for an old military man on Sesame Street? Maria: What is it, Big Bird? Big Bird: Here comes General Dave. Big Bird, Maria, Luis: Hi, General Dave! General Dave: Hi, Everybody! I'm General Dave, the Fornicating General! Today's show is brought to you by the Letter A for Adultery. Big Bird: And by the number 69. Elmo: Or what if Elmo decide to join the Army? Soldier No. 1: What are your orders, General Elmo? General Elmo: Men, our next tactical move will be to initiate a Surge! Soldier No. 2: A Surge, General? Soldier No. 3: General Elmo! General Elmo!!! What's wrong, sir?!!!!! Joe: You know what you fellas should have learned from the messes you got yourself into? General Petraeus: What's that, Joe? Joe: Reason flies out the window when a man's pecker is straight. Elmo: And that goes double for Elmo! Joe: All right, guys. Closing time. Elmo: Gracious thanks, Joseph! C'mon, General .... Elmo and General go to hot after-hours club. General Petraeus: Know a good one, my furry little LGBT friend? Elmo: Elmo sure do! Same one Anthony Weiner and Lance Armstrong get thrown out of every day at dawn. 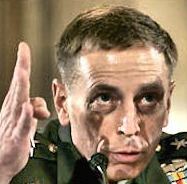 General Petraeus: Works for me. Goodbye, Joe. Joe: Well, who knows, folks? There just might be a sunny day for those two after all!